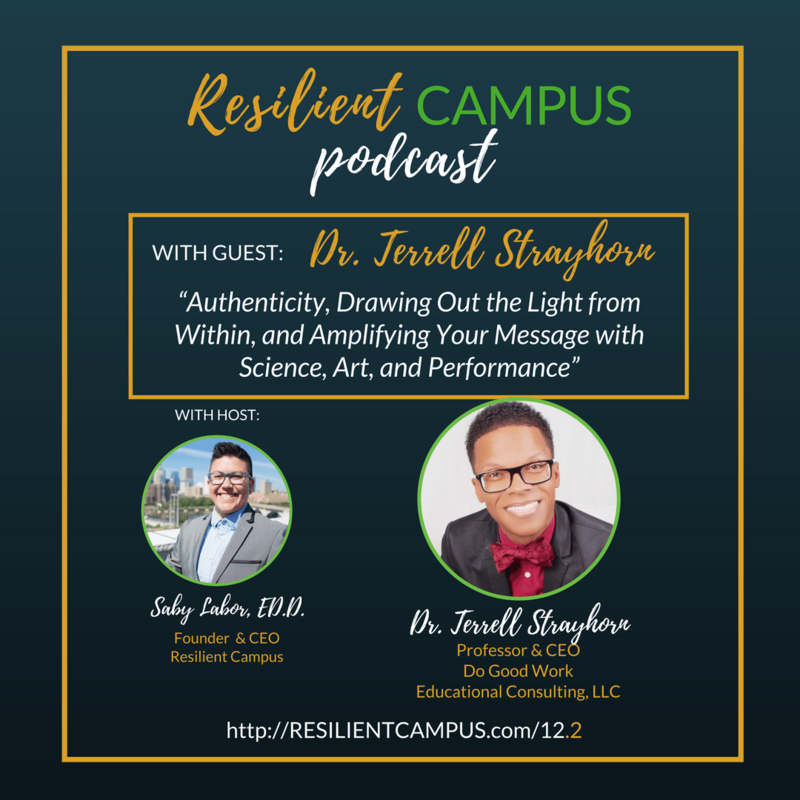 In this second part of our interview with Dr. Terrell Strayhorn, we discussed bridging the worlds of scholars and practitioners in higher education. We talk about how to navigate both roles simultaneously as professor, administrator, and consultant. He shared his own undergraduate experiences and draws connections to his research today about college access and success. Dr. Strayhorn sheds light on the culture and expectations of publishing and research, as well as the slow adoption of research into practice. He encourages us to keep center the “three p’s” at the center, or the people, when we do this work on college campuses, which includes policymakers, parents, and the practitioners. Bringing our authentic self to this work and the importance of bringing love and light to the world and our role bringing out the light in other people, especially our students. Dr. Terrell Strayhorn is one of the foremost authorities on college student success and issues of equity and diversity in education, especially in terms of race and belonging in college contexts. Author of 10 books, over 200 journal articles and chapters/reports, Professor Strayhorn has secured nearly $3 million in grants to support his research over the years. He’s a highly sought public speaker–and he has delivered hundreds of keynotes and public lectures at more than 500 colleges/universities and conferences across the globe. Most recently, he was on the faculty at The Ohio State University where he also directed a multi-million dollar research center on college access and success. He’s known for using the hashtag #DoGoodWork on social media!